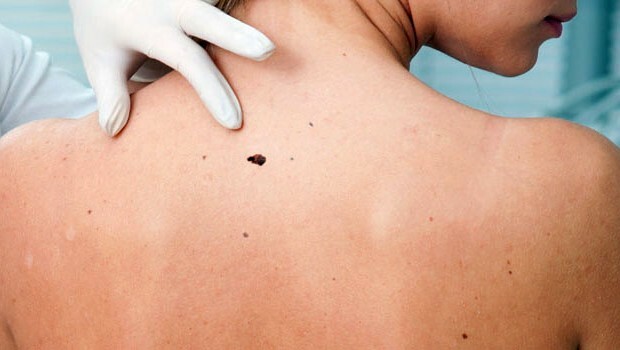 Bacne (back acne) refer to acne that forms on the back. There is no scientific explanation for causes of back acne. Though we don’t know the exact reason, we should not just leave it alone. We have to treat it. Here are methods to help you get rid of bacne both by natural ways and by medication. Keep your back clean. Clean your back once a day but no more than twice. Clean it too much will dry out your skin and force your body produce more oil leading to more bacne. Exfoliate your back skin daily or at least weekly basis. Scrub the skin with washcloths, loofahs or brush gently. More of sugar rather than salt based scrubs should be used to prevent skin irritation. A natural exfoliating scrub can be made by mixing 1/2 cups of white sugar and half cup of coarse sea salt, then squeezing one grape fruit into the mixture. Massage this into the affected areas and pat dry. Use oil-free, non-medicated moisturizers or lotions. Apply Apple Cider Vinegar. Apple Cider Vinegar can tight up the pores, kill bacteria, reduce redness and swelling. Mix the vinegar with water in a 50/50 solution and apply it to your bacne. Leave it for 5-10 minutes before washing and make sure the applied vinegar has dried off before you get dressed. Submerge your back within salt water. Go to the beach and submerged your back within the salt water of beach for 10 minutes. Then, sit in the sun for 10-15 minutes. This can help dry out the pimples but you cann’t be in the sun for longer which will get yourself burn and make your acne worse. Wear clean and “breathable” clothes. Wear a clean bra each day and make sure your straps are tight to avoid rubbing against the acne when you move. If possible, wear a strapless bra. Avoid wearing tight clothing; loose cotton clothing can let your skin breath and won’t trap oil. Herbal remedies. Lavender essential oil, witch hazel extract, aloe vera can all be used to treat bacne. Lavender essential oil can stimulate blood circulation and treat wounds, scars effectively; Witch hazel works well as a cooling toner; aloe vera can repair the skin and remove scars, redness and swelling. AHAs ( Alpha Hydroxy Acids) & BHAs (Beta Hydroxy Acids).AHAs can exfoliate the uppermost layer of skin. BHAs can clean out the gunk from inside your pores. Choose cleanser and moisturizer containing these ingredients. Use oil-free, medicated lotion and cream. Neutrogena Clean & Clear Dual Action Moisturizer is one example. If you do spot treatment, use a ream with 2.5% benzoyl peroxide. Do not use 5% or 10% benzoyl peroxide. Apply retinol ream on your back at night can help prevent breakouts in tough places. Sulfur products. Back acne sulfur treatments seldom have side effects. You may experience redness or some burning and skin irritation first. But these effects will decrease when your skin gets used with the sulfur products. See a dermatologist. Look for a dermatologist for some prescription topical and oral medications like Antibiotics, Retinoid, and Accutane if your bacne have been really severe or the natural treatment and over-the-counter products don’t work well. hi!,I love your writing so much! proportion we communicate more approximately your article on AOL? I need a specialist in this house to unravel my problem. May be that’s you! Having a look forward to look you. © 2016 Home Remedy . All Right Reserved.